I’ve been paddling since April 2004 so not too long by most standards. Throughout the time I’ve been either a student or working and see myself as just a weekend paddler. 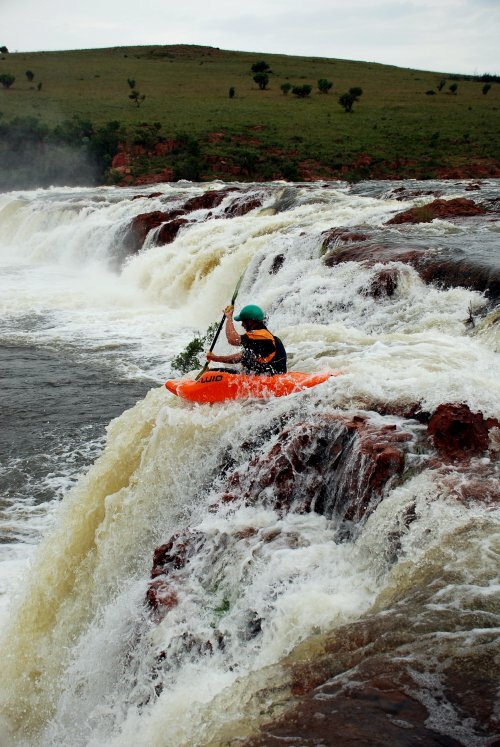 I’ve paddled various rivers in South Africa, Sweden and Norway and also in Swaziland and Zambia. 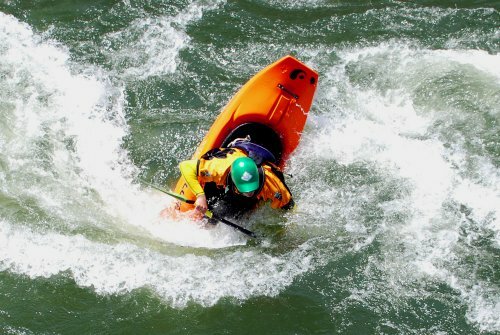 I’m not much of a play boater and prefer to run rivers, creeks and just chill on overnight trips. However I can still do a few tricks and enjoy playing although it’s not my favorite type of boating. 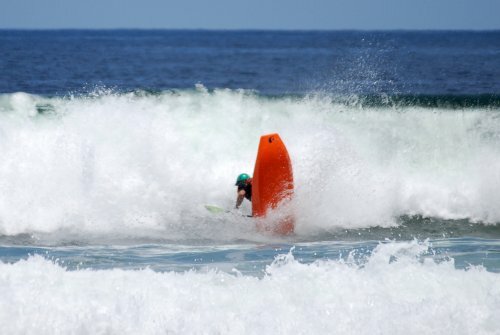 Paddling a big wave is still an incredible feeling and I won’t deny it’s really addictive! 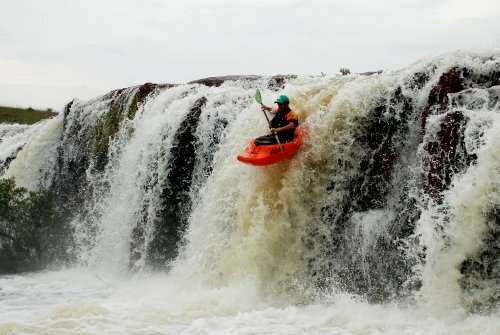 So far, over the past five months, I’ve paddled the medium Nemesis on a couple of rivers in South Africa, a couple of spots along the eastern coastline and on the Zambezi River, Zambia. A couple of different angles of the medium Nemesis. Another view on the outfitting. Taken at 18mm on an SLR so you can appreciate the perspective thrown on the front of the seat. + Excellent outfitting and super comfortable, also easily adjustable and very simple to use. The outfitting is solid and won’t leave you in the lurch. + Back band is always in place, very soft (the material) yet firm and also quite large. It also is durable and my Solo has taken a lot of abuse and shows no sign of hard use. It has never pinched me once. Adjustability is via two ratchets that are attached to the seat, on the floor of the boat. So no more damaged spray decks like with the cockpit rim mounted types. There are two ridges on either side of the ratchets to protect them and one can stand on them without any damage because of this. + The Nemesis comes standard with a healthy amount of foam under the seat to fill the gap that would otherwise be there. Most manufacturers do not do this. This reduces the already slim chance of your Fluid kayak oil canning. 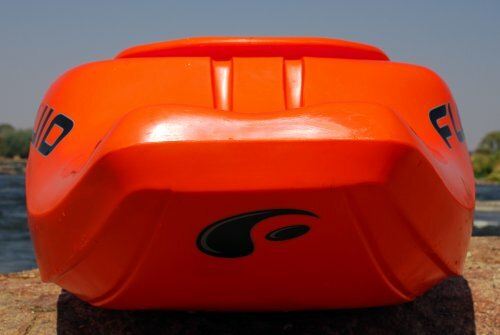 The seat itself is a large platform and helps to increases the overall stiffness of the hull too which is great for surfing. + Die-forged aluminium grab handles are strong, durable, good looking and offer little resistance through the water during freestyle moves. + Evenly distributed volume in the bow and stern makes it easy to throw this boat smoothly around in a hole or even on the flats. + Great pop for loops either in a hole, or on the flats. + The hull has a lot of speed which is good for getting aerial on either river or ocean waves. On the ocean, this boat rips too and can bust some huge aerial moves. Faster than would be expected. + Very loose on a wave and spins are really quick. Quicker and looser than the Flirt and also very light in weight. + Not as edgy river running as some people claim. I loved the boat on the Zambezi and had no complaints. + At 6’ tall and weighing in at 86kg I have room to spare where my feet are. I’ve made a reasonably large foot block up front and have my seat in the centre position.
" 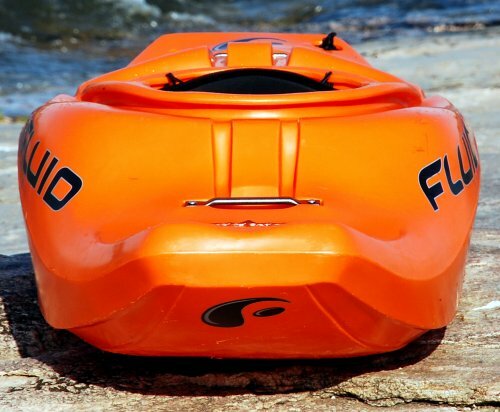 It’s finally here - The Fluid Nemesis and with it a new evolution in playboat technology. 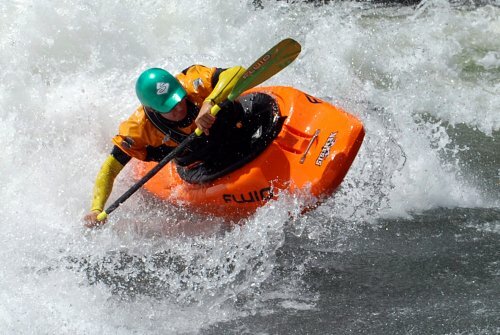 Fluid’s new high performance playboat allows you the best of both a buttbouncer and carving machine. 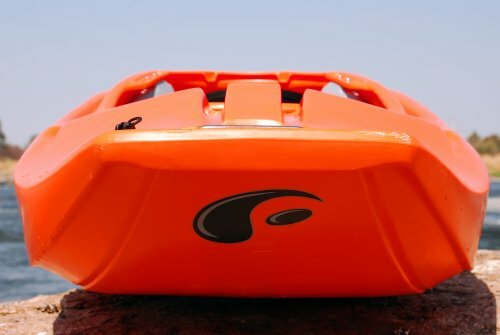 The Nemesis is incredibly loose on a wave; letting you slip, slide and spin with as much ease as you can imagine but put the boat on edge and you’ll be trying to catch up before you are whipped off the wave. The fastest buttbouncer on the market makes use of an innovative chime edge system which makes the boat incredibly fast yet super loose. And did we mention it gets air? It releases from the water like a dream. You can launch this boat, collect airmiles, and still have time to enjoy the scenery before preparing for landing. And it lands so well, it's a breeze to retain on the wave. Volume distribution is perfect for hole playing, allowing for stable ends and huge loops while staying retentive. " Keurbooms Beach. Photo by Trevor Tregoning. Valletjies, Olifants River. Photo by Karl Martin. Gatsien, Vaal River. Photo by Carl van Wyk. 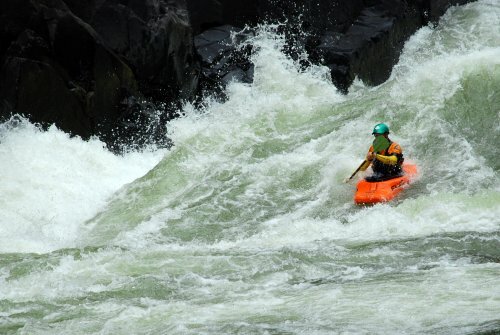 Number 8, Zambezi River. Photo by Bart Verkoeijen. 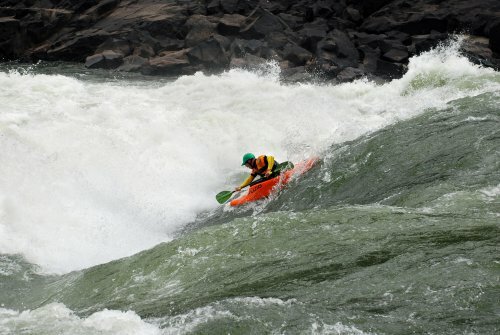 Number 4, Zambezi River. Photo by Bart Verkoeijen. Whirlpools below number 5, Zambezi River. Photo by Luke Longridge. 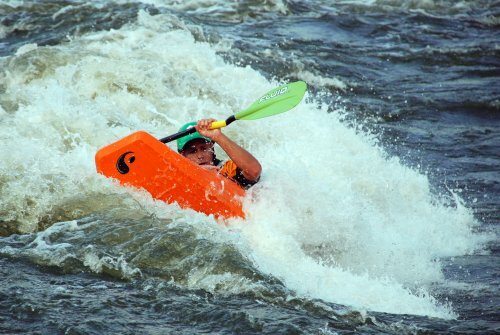 12b, Zambezi River. Photo by Luke Longridge. The Nemesis is an awesome full on play boat. No doubt about it. It has foam pillars, unlike the Solo range which is the only range at the moment in the Fluid line up with plastic pillars. 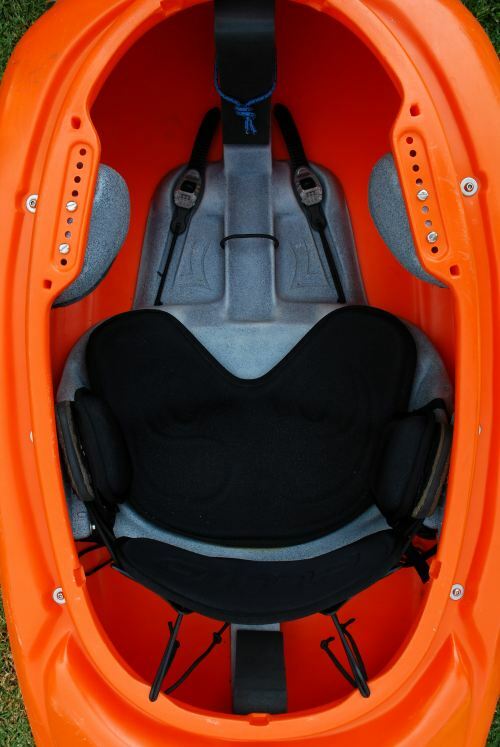 It is available in the bright orange shown in the photos, a red and a yellow as the three standard colours that every Fluid kayak is available in. The fourth, model specific colour is a kind of a pink. Check it out, not too bad at all. And no, it isn’t only for the ladies. The Fluid Nemesis is a great boat and one which will leave you with a smile on your face, every time and a look of envy from the other guys in the line up. The fourth colour for the Nemesis, pink. Photos by: Adrian Tregoning, unless otherwise stated. Disclaimer: I am sponsored by Fluid and this review is based on my thoughts, experiences and most importantly, my own opinion. I do however believe it’s an accurate review on this boat and its performance. Use it, don’t use it.